American musicals pervade our lives whether we attend them in a theatre or not. Songs have transitioned from their places in their shows into our daily life, often without our knowing their original purpose. From “I Could Have Danced All Night” to “Tomorrow” to “Tonight, Tonight” and a hundred other ubiquitous songs covered by dozens of artists, they are part and parcel of our lives. The emphasis here is “American” musicals, not the more inclusive “Broadway” musical. In The Secret Life of the American Musical, their story is told from a personal perspective, with many intriguing anecdotes, about the art and craft of making musicals. The best make us care about the central characters. Jersey Boys is successful because it has a great story about the group’s birth and career, not just the music. Hamilton uses rap music to tell a compelling story about one man’s fight to fit into American society. The sub-title voices the focus of this first-rate examination of the musical theatre: How Broadway Shows Are Built. Viertel’s beautifully achieved goal is to describe the mechanics of the great musicals. The genesis of this erudite and popular book began years ago. His uncle-by-marriage, Harry Levin, head of comparative literature at Harvard for many years, taught a course that dissected four plays by Shakespeare. The goal was to determine why each line came to be written and its purpose. Viertel, a “dramaturgically inclined Broadway producer,” wondered why he could not do the same with musicals. He would scrutinize the architecture of four shows, Gypsy, Guys and Dolls, My Fair Lady, and South Pacific, and ask students to determine why a line or song exists. How do all the tools contribute to one goal? He was fortunate to start a short course at the Tisch School at New York University. The course was so popular that he added a second course on “song plot,” which forms much of the meat of this book. Viertel has the perfect background. He has loved musicals since childhood and has spent more than 50 years watching, writing about, and producing such major shows such as Hairspray, Angels in America, and Into the Woods. He is a dramaturg, a person who studies and writes about the underlying structure of a play or musical through its narrative focus, its culture, and references. The dramaturg can help the director and actors more fully understand the milieu in which a particular performance might fit. 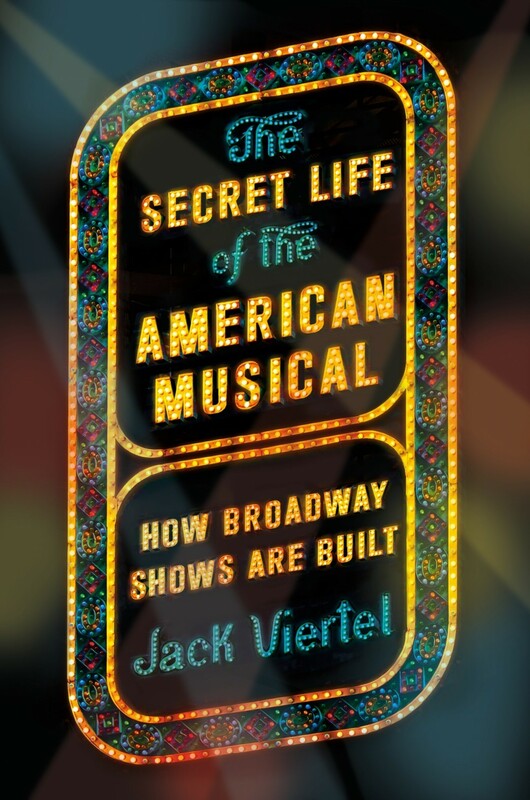 Each chapter of The Secret Life of the American Musical leads the reader through the mechanics of how a musical unfolds from the Overture through the Curtain Call. This breezy and perceptive dissection enhances our appreciation of musicals in an entirely new way, teaching us that musicals proceed along a surprisingly consistent course. They begin with an “I Want” song. For example, Eliza Doolittle just wants a room “away from the cold night air.” Production numbers lead the audience to the finale. Three traditional acts are suppressed into the usual two acts that surround an intermission. Prior to intermission act one provides exposition and is followed by act two which introduces a variety of complications. The final act comes after intermission and brings resolution. A flow chart graphically illustrates how this works in Guys and Dolls. If you, too, are a musical theatre buff, you will be intrigued by the final section, “Listening to Broadway.” Viertel discusses his favorite recordings of the shows highlighted in the text. A second part features 20 shows that may have been mentioned but were not quoted in the book. These include Annie Get Your Gun, Chicago, and Porgy and Bess. 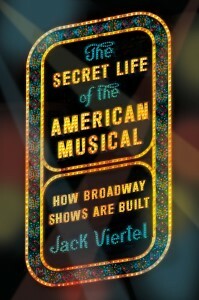 The Secret Life of the American Musical is a book to keep by your side for frequent reference and reading pleasure.